Private dining and patio dining available for parties of 10-200 guests. A modern interpretation of the classic American chophouse, T-bones features USDA Prime dry-aged beef, an excellent selection of the freshest seafood, creative sides and comfortingly decadent desserts. Our steaks start with the best cuts of meat, seasoned simply and cooked to perfection, delivered to your table perfectly charred and bursting with flavor. After your first bite of T-bones' tender, oversized, prime steak, you'll instantly taste why we were voted the Best Steakhouse in Las Vegas in 2011. 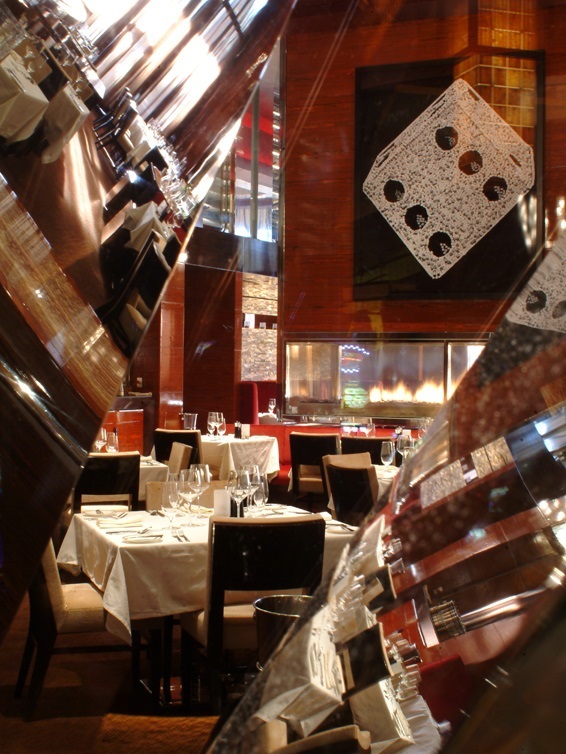 T-Bones Chophouse has been selected as a Wine Spectator Restaurant Award winner. Unwind at T-Bones! 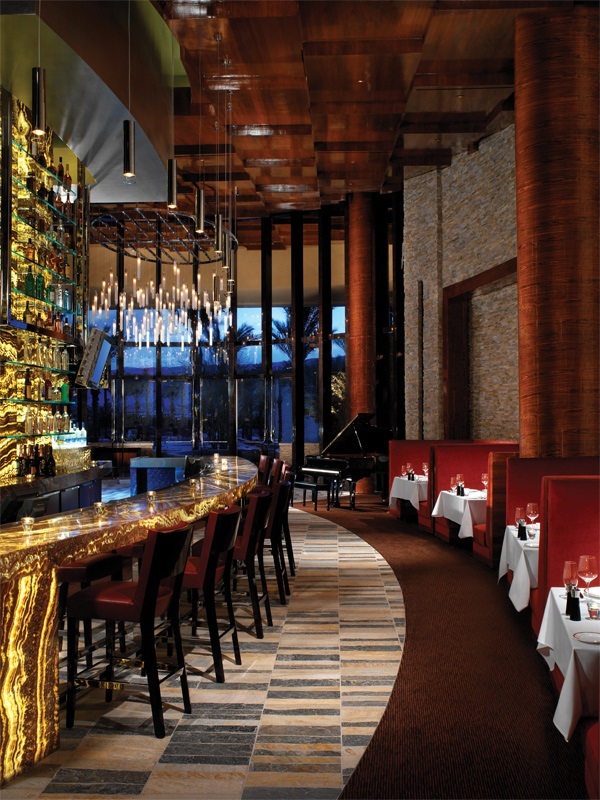 Mingle with great music, sumptuous bites and perfect cocktails. 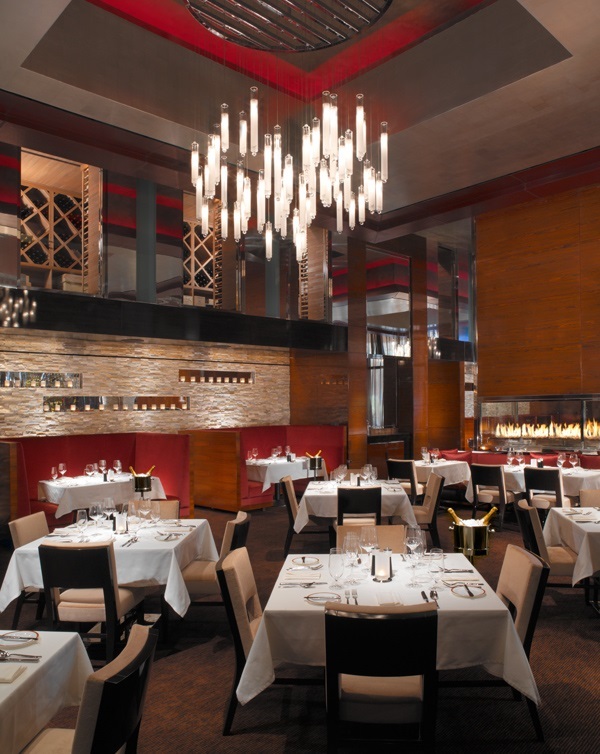 We don't just have the best steak in Las Vegas, we also offer a true fine dining experience, with modern and striking décor that sets the tone for an unforgettable evening. 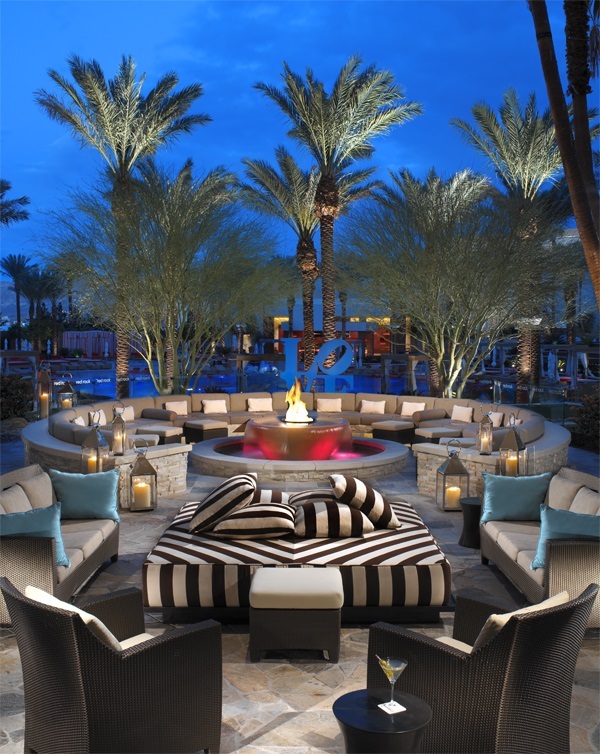 As one of the best Las Vegas Steak Houses, we are pleased to present a large and impressive dining room, a high-energy bar scene with an extensive wine list, and a stunning outdoor patio where guests can eat, unwind with a cocktail and listen to live music while overlooking the backyard pool area and its beautiful gardens. Our superb fish is flown in fresh each day. We have a tempting selection including Australian lobster tail, Dover Sol and John Dory. For starters, try the big eye tuna poke or jumbo lump crab cakes. And for sides, don’t miss our amazing tater tots with truffles or au gratin potatoes. 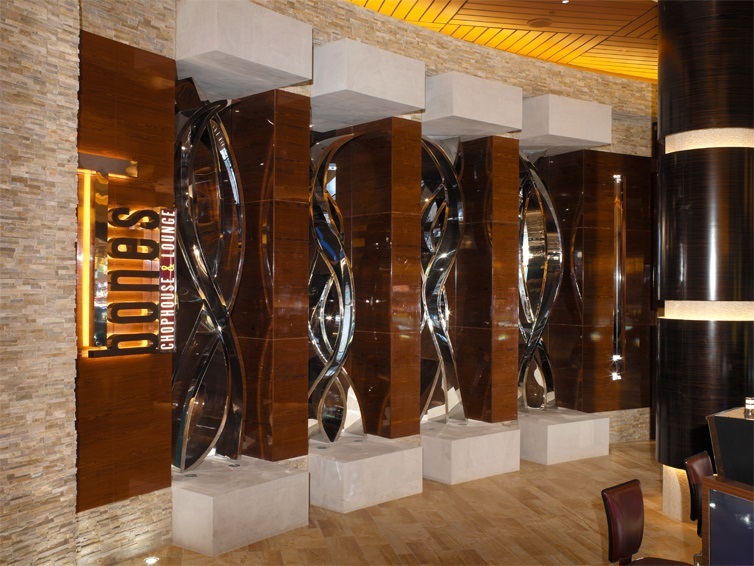 They’re true originals, and make T-bones the best steakhouse in Las Vegas with the best seafood selection.